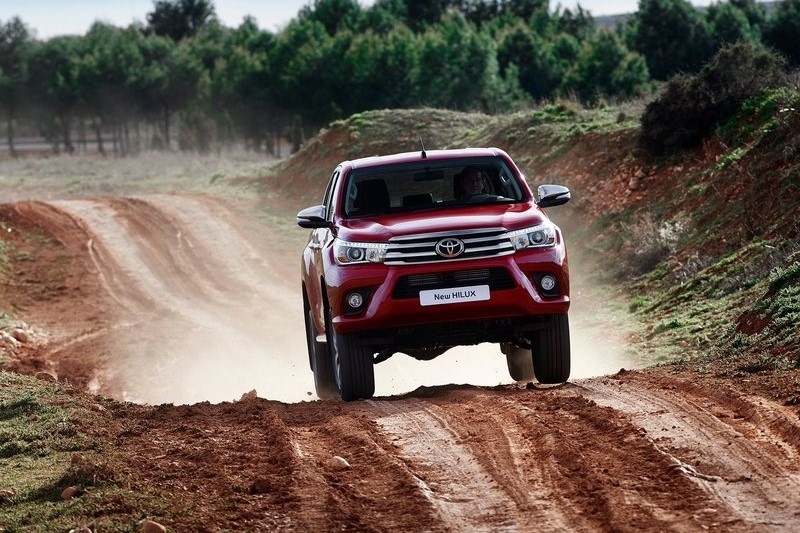 Now in its eighth generation, Toyota has thoroughly revised the Hilux with the same values of ruggedness and utility, but added a good dollop of everyday usability as well. 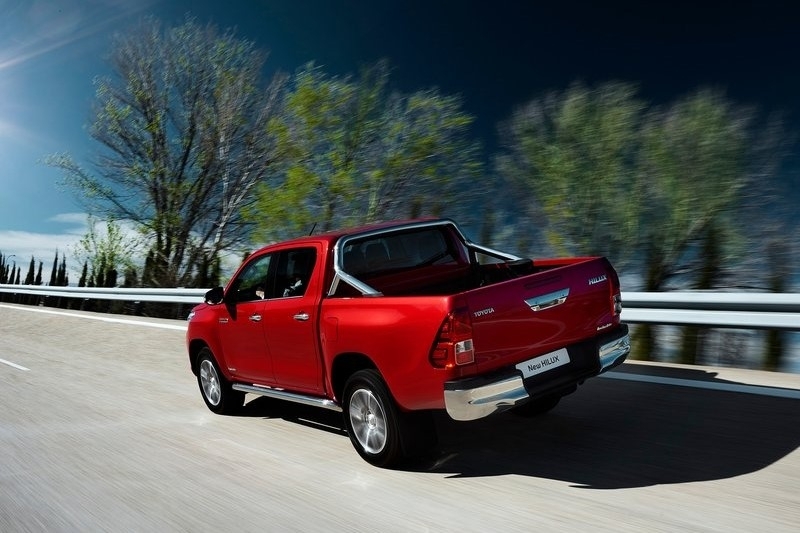 In many parts of the world, the Toyota Hilux has been the default option for anyone wanting a fuss-free, go-anywhere load lugger. 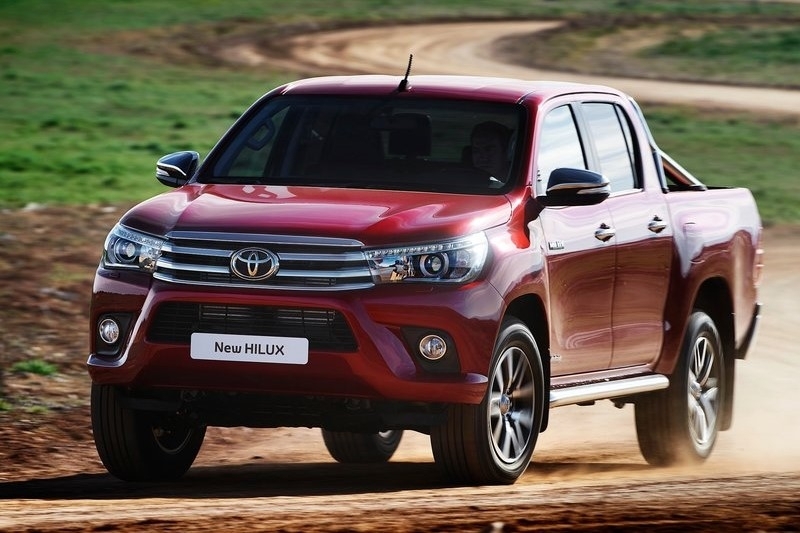 From the tradesmen of Australia to the war-waging militia of Afghanistan, the Hilux has a wide demographic and proven track record with more than 16 million sold worldwide. How does this apply to us city dwellers in our concrete jungle? Well, over the years the Hilux has evolved to become less of an agricultural workhorse into a machine that is nearly car-like in refinement, yet still competent enough to handle whatever is thrown at it. 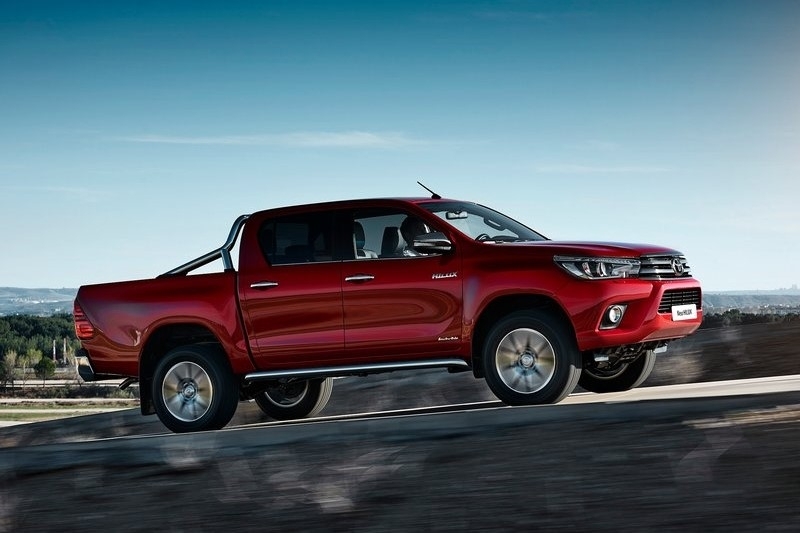 On the outside the Hilux certainly looks the part with a more aggressive snout housing optional LED headlights up front while buffed-up fenders adorn the sides, helping to boost kerb appeal and road presence. 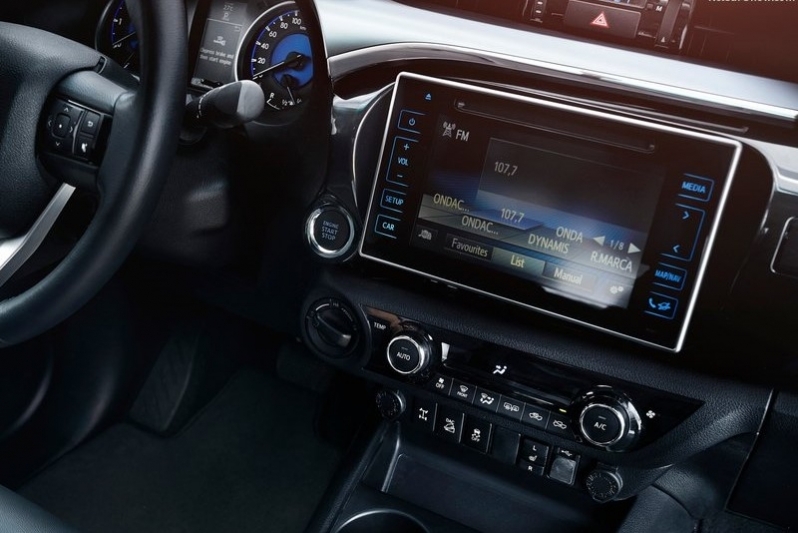 Meanwhile a redesigned interior advances comfort and convenience, borrowing much of its design and technology from Toyota\'s passenger car range. 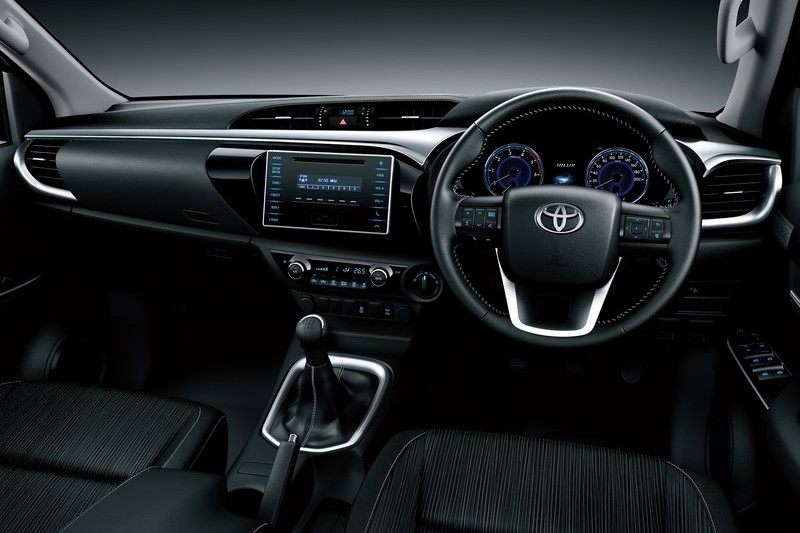 Cruise control, a touch screen display, reversing camera and a keyless-go system are some of the available options. Furthermore, the interior was developed by the same man that handled the Toyota iQ project, which packed four seats within a tiny footprint. 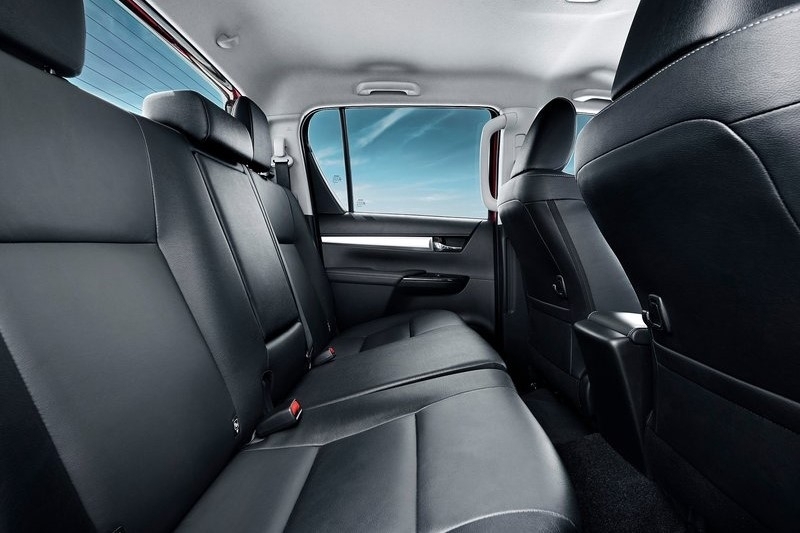 Unsurprisingly then, the Hilux now offers more interior space and seat adjustment for enhanced occupant comfort. This, paired with more comprehensive sound deadening mean that if you so desire, the Hilux can even barrel down the expressway in relative comfort. And barrelling down the expressway is something Hilux owners are not averse to. 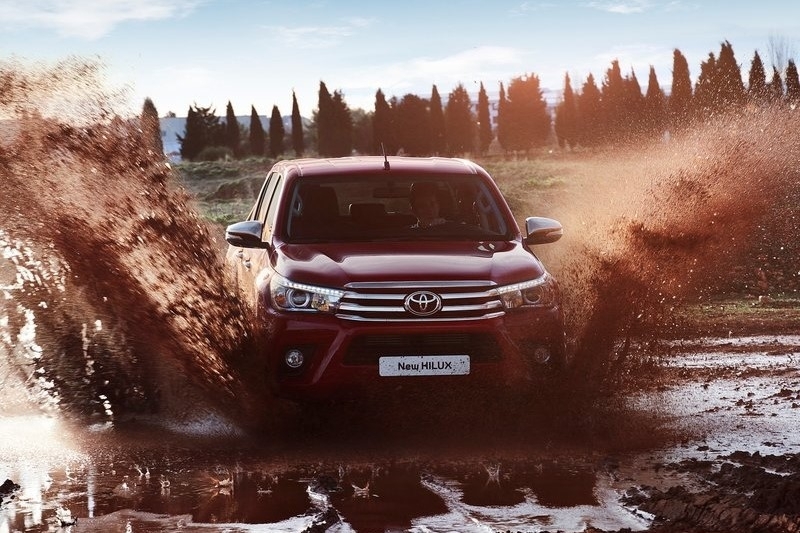 If you make frequent trips up north it\'s likely you\'ll have been tailgated by a Hilux before, a tradition set to continue as Toyota is offering drivers more power with a choice of revised petrol and diesel engines. Power and efficiency are up, with a revised 2.7-liter petrol four-cylinder developing 164 horsepower, while the new diesels offer 400nm of torque in 2.4-liter form and 450nm for the 2.8-liter; both diesels promising a broader torque curve than the outgoing 3.0. Power gets to the road via a pair of 6-speed transmissions. An automatic is optional but the manual offers enough convenience features to make life easy, with features such as hill-start assist and automated rev matching. The latter is particularly useful, helping to prevent stalling and allowing quick, seamless downshifts. 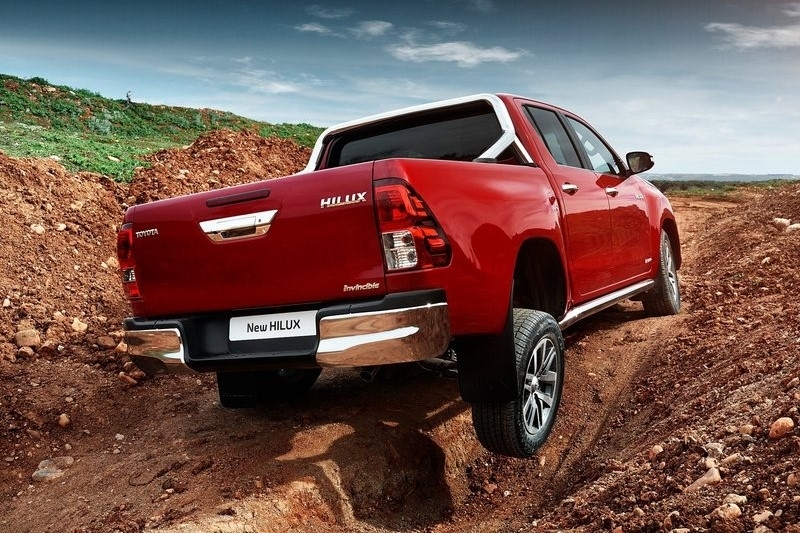 With all this talk of tech toys and comfort it\'s easy to assume the Hilux has gone soft, but toughness and comfort can co-exist. The body structure for example is more rigid, which not only creates quieter cabin but helps raise payload capacity up to a maximum of 1.2 tonnes. Increased wheel articulation yields a more comfortable ride on rough terrain but also helps off-road prowess. On top of that, the technology has survived trails on proving grounds in Southern Australia. 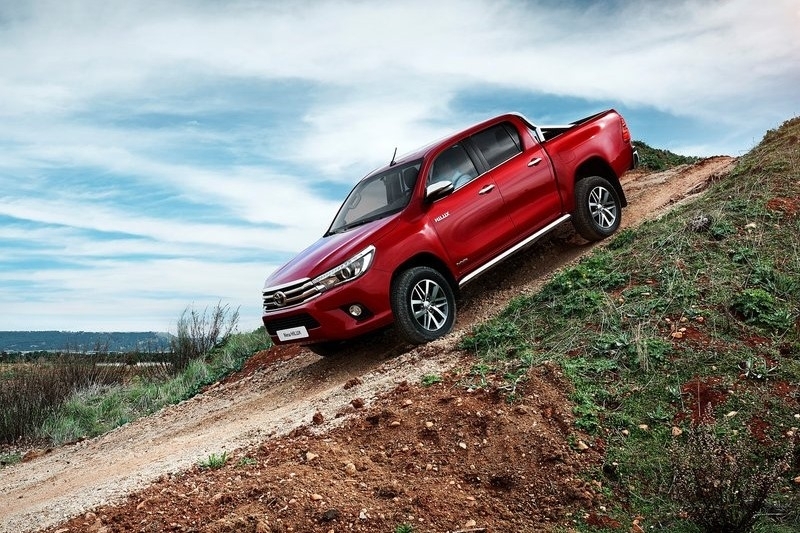 With variants ranging from two or four wheel drive, three cab sizes and three trim levels, finding a suitable Hilux should be easy. A double cab two wheel drive variant with the smaller engines would fit a Singaporean context, filling the needs of a business owner who needs to both comfortably ferry family yet transport goods where necessary.